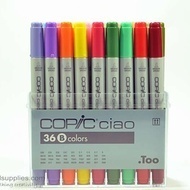 Copic Ciao Double Ended Markers are the perfect choice for beginning artists who want to try markers for the first time. 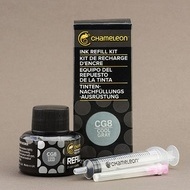 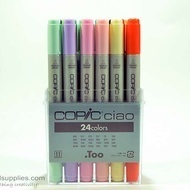 The Ciao's solid polypropylene barrel is round, smooth, and smaller than the Copic Sketch Marker's barrel, making it ideal for younger artists. 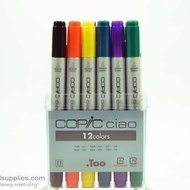 The cap features an inner seal as well as choke-proofventing. 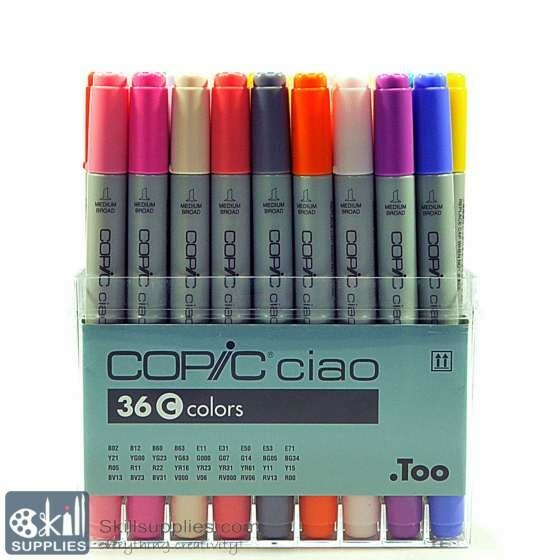 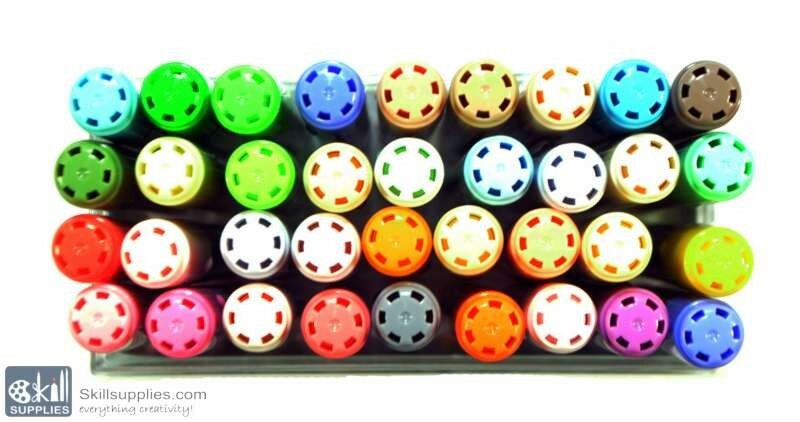 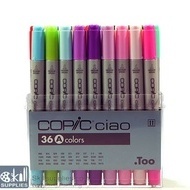 Ciao Markers feature two durable polyester nibs — Super Brush on one end and Medium Broad on the other end. 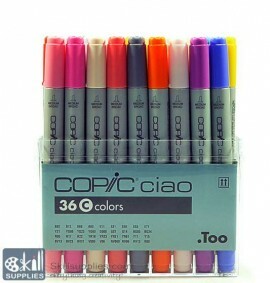 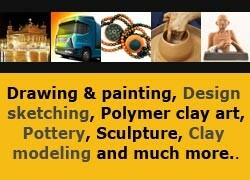 The markers are low-odor, blendable, and great for use on paper, leather, wood, fabric, plastics, faux fur, and more.